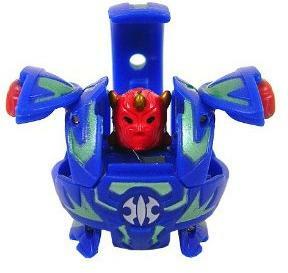 Warius is an ogre-like Bakugan warrior that loves to brawl. It swings a mace studded with lethal spikes to attack its foes. Spiky horns cover its head and shoulders protecting Warius from damage. Dense armor covers its body and legs. Purchase Warius from Amazon now!